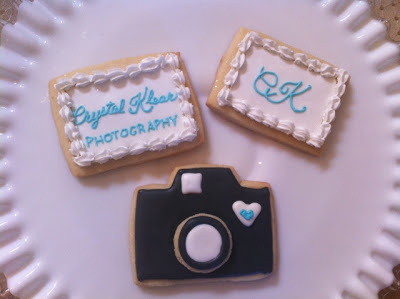 Recently a new photography studio opened in our area. 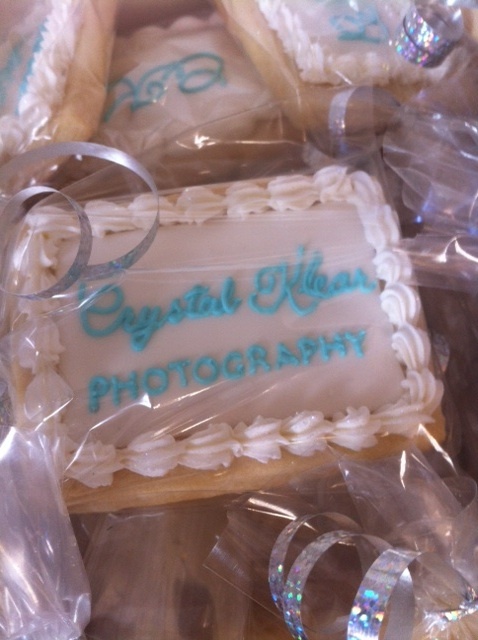 I was so excited to be able to make the cookies for her Grand Opening celebration! 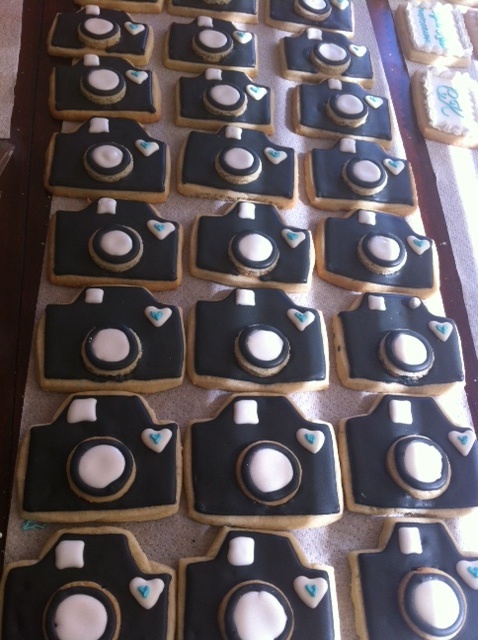 We did 3 dozen cameras and 3 dozen business cards. All of these cameras were hand cut and pieced and all of the business cards were piped. I think they turned out beautifully. If you are looking for an excellent photographer, be sure to check out her website.